When it comes to your smartphone, it’s probably the most emotional device in your life. Emotional because you carry it around all the time, rely on it so much and have such a connection with that silly device. So after years of living with iPhones, I finally decided to take the plunge into the Android world in February of 2017. Why? 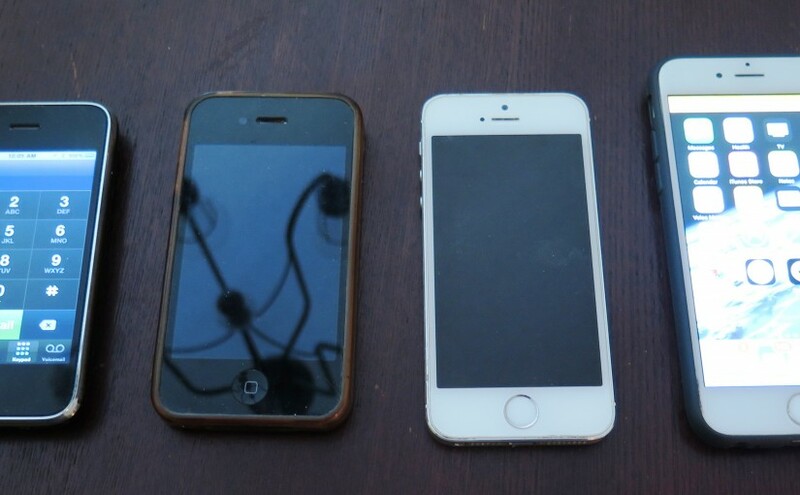 Even though I owned four different versions of the iPhone and loved my iPhone 5S, it was just time. I had gotten tired of the short battery life and being tethered to a power cord all the time. I admired the thin and slim design but realized that the iPhone 6 had gone too far with multiple phone and screen breaks for me, even though I had none in the previous 7 years. The lack of a headphone jack and expensive power cables were just ugly icing on the cake for me. And my dissatisfaction came way BEFORE the recent news about slowing down the iPhone broke out. So after a lot of online research, I settled on the Samsung Galaxy S7 as a worthy replacement. Better specs on the camera, a battery that was nearly twice the size and a beautiful OLED screen that put the iPhone 6 to shame. And while it wasn’t as slim as the iPhone 6, who cares when you just end up slapping a protective case around your $600 investment. It was with much trepidation that I clicked the “ORDER” button online to commit to my S7 and Android. And once the phone came in, a tremendous amount of angst trying to manueuver through the interface and operating system. After 8 years of learning and relying on iOS, it can be really hard. But learn you do! The extra Back button is actually cool. And the Close All Apps button on the left? Super useful, no need to keep extra apps running. Automatic backups to Google cloud is pretty awesome too. So after a hinky month or two of transferring contact information, music and apps over, it’s been pretty smooth sailing on Android for this ex-iPhone fanboy! I go back and occasionally use my cracked iPhone 6 and yeah, there are things I miss about it. The smooth scrolling, the stability of the apps and iTunes. But the Samsung Galaxy S7 does 90% of it as well as the iPhone and adds in the better screen, better battery and more durable build so it’s nearly a wash in a good way. They are both GREAT phones with slight advantages and disadvantages for each. But after nine months with the S7 I can assure you that the switch can be made successfully and you can start up a new relationship with Android. It won’t be exactly the same but who cares? You just gotta find what’s most important for you and appreciate it in your current partner. It’s already 9 months into my relationship with the Samsung Galaxy S7 and the phone still looks brand new, the screen is as bright as ever and I still don’t have to worry about it shutting off. Posted on December 30, 2017 December 30, 2017 Categories PhilosophyLeave a comment on What do you say iPhone owners, time for a new relationship in 2018?